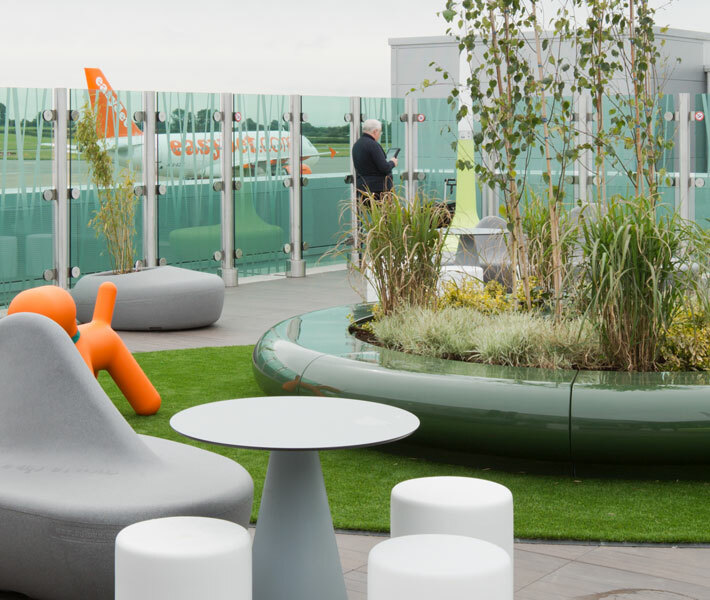 Corona Planters were specified by design and space planners for the roof terrace section of a newly upgraded east terminal at Bristol Airport. The Airport has increased the size of its departure lounge, retail and leisure facilities and a roof terrace areas, and included a new interior design and an improved passenger experience. The Corona full circle planter was handcrafted in dark green RAL 6020, along with a series of Bench seats. 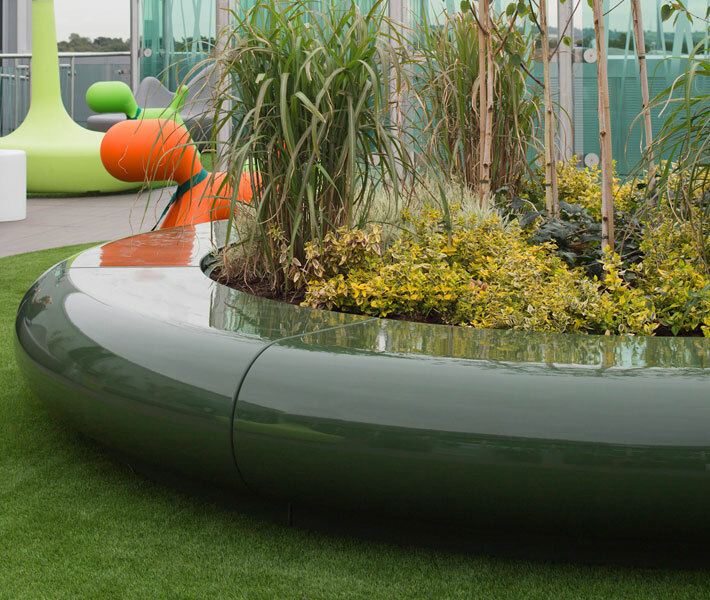 Ultra contemporary in design, the Corona planter and seating compliments the exterior and interior waiting areas, whilst also providing a comfortable seat. Coronas' curves and the natural green colour create calm spaces and help soften the airport architecture. The furniture peices are exceptionally durable, weatherproof and vandal resistant, so require minimal maintenance. They'll stand up to the rigours of the busy airports everyday use, as well as being easy to clean. Airports, train stations, bus stations and other public waiting areas serve thousands of people every day, the GeoMet range is the ideal choice for comfortable, attractive, and sturdy public seating. 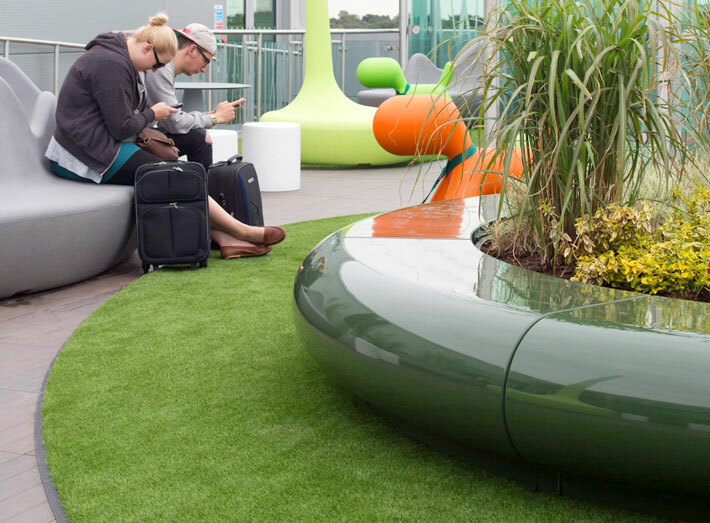 Corona Planters were specified for the roof terrace section of the newly upgraded east terminal at Bristol Airport. Curved planters and the natural greens were specified to help calm and help soften the airport space and architecture. Weatherproof, tough and hard wearing, furniture pieces that will withstand the rigours of airport everyday use. 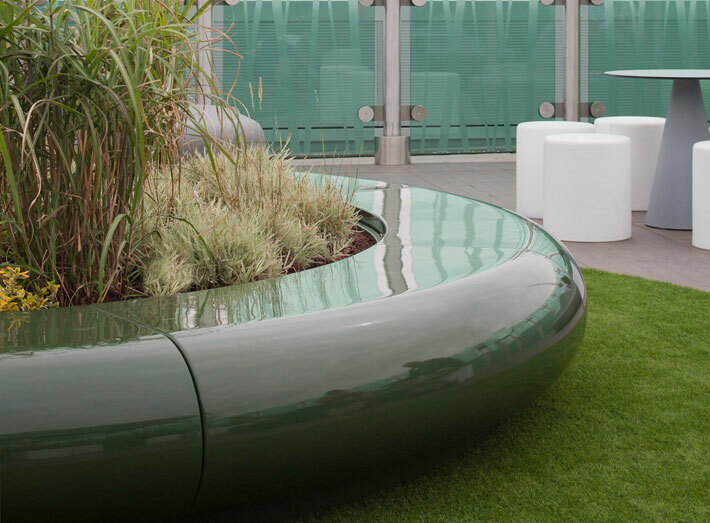 Ultra contemporary in design, the Corona planter compliments the departure lounge roof terrace seating area. Handcrafted in the UK, highly durable and requires the minimum of maintenance. 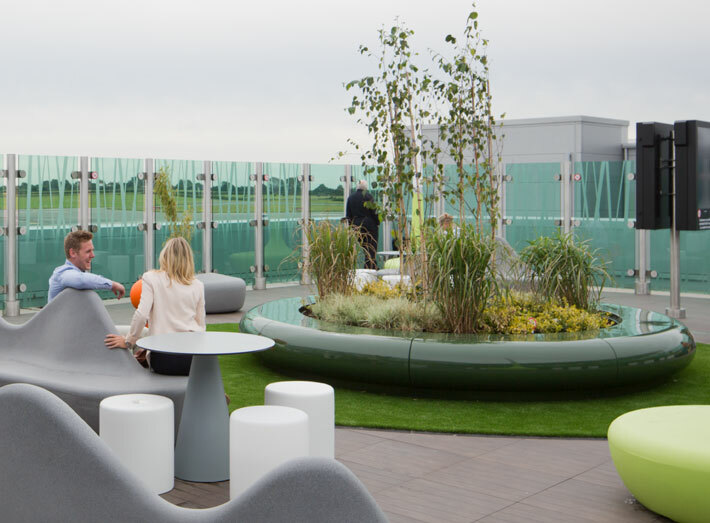 "From the outset, Sui Generis were very helpful in accommodating our design specifications for the outdoor terrace seating at Bristol Airport and comfortably adhered to the particular challenges of such a high-traffic public area."